Music for several musicians who don’t play together, but is played back simultaneously? Can that really be something interesting? Indeed, it is! Ann Rosén and Stockholm Saxophone Quartet’s album “Bredvid” evolves in a kind of playful way and can be described as a mix of alarm signals, noise, disjointed tones and pauses. It’s both meditative and disturbing at the same time and some tracks are like a story with something mysterious going on in the foreground while you can sense an ominous vibe further in the back. It’s interesting and exciting, and sometimes computer games comes to mind but also of course horror movies. But mostly it’s music which has it’s very own life. The works is a mixture of duos (where two voices run in paralell), a quartet (in the same way) and a solo where Ann Rosén is playing on a kneecuff instrument (“Bredvid A”). Technically it’s interesting to know that the instruments used are homebuilt synths driven by the signal from microphones placed in the saxphones. Ann Rosén has worked many years with different kinds of sound art and music, and is maybe most known for her works with the the combination of cloth and electronics. She has written the music for the legendary Stockholm Saxophone Quartet who is also plated back on this album. This is the first post from our new co-worker on Meadowmusic, Stefan Klaverdal. He is going to write about electronica, minimalism, classical music and many other genres. 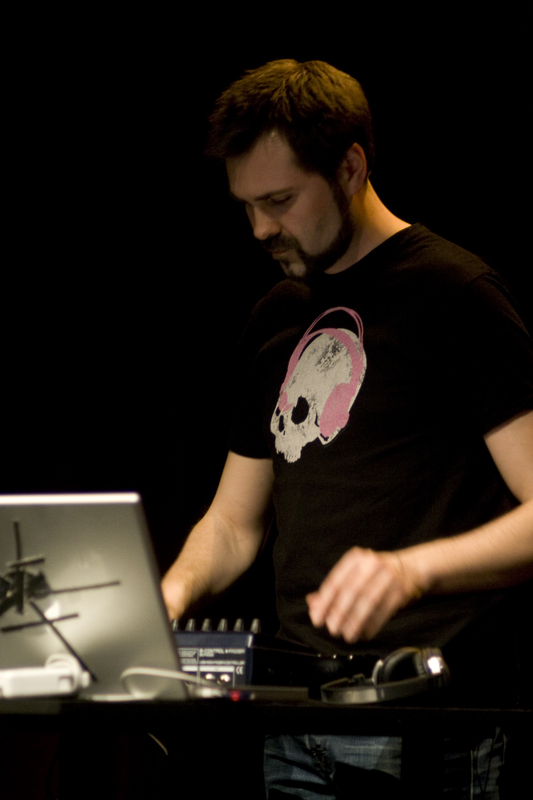 Stefan is a Swedish composer and sound artist working with acoustic and electronic music, performance and interactive sound art. /Ed. Rhythm, noise, glitch sounds, drones and bass are some the components of the sound on Codespira1’s album ”Artefact”. The music makes me associate to Ryoji Ikeda and electronic minimalism, but it’s quite dynamic and moves smoothly between different emotional states rather than punching you in the face. Some of the songs could very well fit on the dance floor and the final track, ”Artefact – On My Feet”, is like an electric guitar solo or a mystical abstract song. Music for both meditation and dancing, perhaps? Codespira1 is Mattias Petersson’s alias as a solo artist (he’s also one half of the duo There are no more four seasons, if you missed them – look them up and listen!). ”Artifact” is his first release on the Dutch label Moving Furniture. The trio Nej, Mirella Hautala, Mimmi Skog and Björn Eriksson, say they are trying to recreate what is happening in the earth’s core. And on the single “Aldrig mer”, taken from the upcoming debut album (release May 11th), it feels like an obvious description. With two distorted bass guitars and drums as heavy as lead they break through earth’s crust and explode in a powerful cloud of magma and ashes, while the guest Carl Westholm’s keyboard sounds swirl around them like black smoke. It’s dark, chaotic and hard, which is underlined by the verses in Finnish, but also astonishingly beautiful. Whatever it is they are up against in the song, it better move aside. … another thing that’s familiar from the original song is the drum beat which lies embedded in the track, torned apart, but recognizable, and a guide for me to where we are in the song. I can imagine that someone whos relation to the song is not as strong as mine, get a more bewildered experience of what’s going on. I must say that it took a while for me to “get it”, but after a few spins I saw the structure and understood how the parts connect. Rather catchy actually. The video is almost entirely about reflecting what’s happening with the sound in the track and can serve as a hand rail for new listeners to embrace the noise.